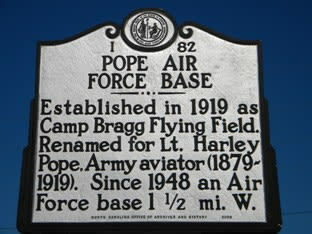 Established in 1919 as Camp Bragg Flying Field. 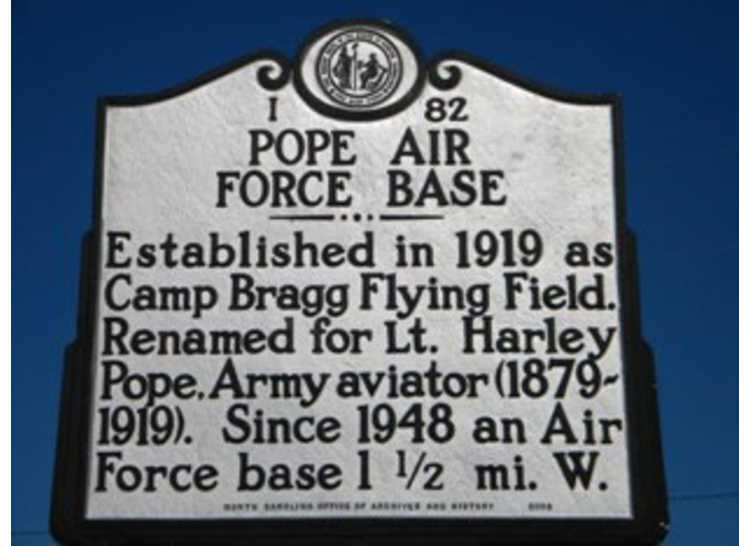 Renamed for Lt. Harley Pope, Army aviator (1879-1919). 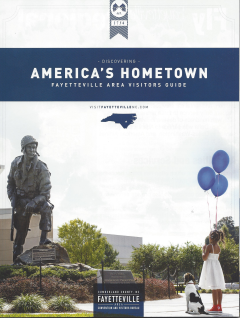 Since 1948 an Air Force base. 1 1/2 mi. W.